A portion of Nebraska’s redistricting process would exclude the state’s noncitizen population under a bill debated on general file April 9. The Legislature is responsible for drawing new governmental boundaries every 10 years after the decennial census for districts pertaining to the U.S. House of Representatives, Legislature, Nebraska Supreme Court, Public Service Commission, University of Nebraska Board of Regents and the state Board of Education. Redistricting will be undertaken next in 2021. LB1115, as introduced by Gretna Sen. John Murante, would require that the boundaries for legislative districts, state Supreme Court districts and political subdivisions be determined by Nebraska’s total population as determined by the U.S. Bureau of the Census, less the noncitizen population of the state. District lines for members of the U.S. House of Representatives would not be subject to the bill’s provisions. A pending Government, Military and Veterans Affairs Committee amendment would remove state Supreme Court districts from the bill’s provisions. Murante said the state constitutional provision underlying the bill applies unambiguously only to legislative districts. 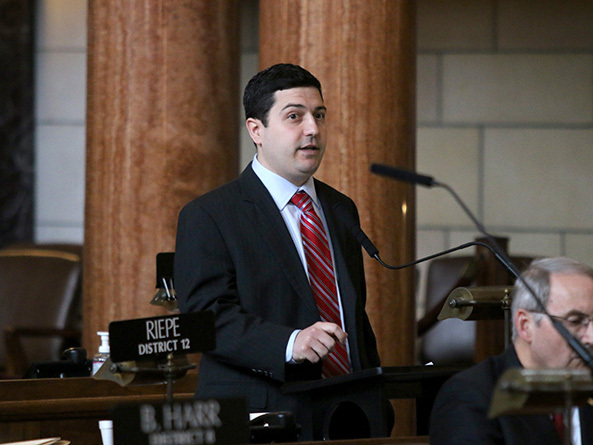 Murante said the bill would put into force a provision of the Nebraska Constitution, which requires that apportionment be based on the population “excluding aliens.” He said that the term “alien” was understood to refer to noncitizens when the current version of the state constitution was drafted in 1920. The state excluded noncitizens until the U.S. Census Bureau stopped asking the citizenship question in the 1960s, he said, and has not adhered to it since. The bureau produces a noncitizen population estimate that the state could be using to adhere to the constitutional requirement, he said. Murante offered an additional amendment to specify that if the U.S. Census asks the citizenship question in 2020, that information will be used to obtain the count of noncitizens required in the bill. If the census does not include that information, the noncitizen estimate that the bureau compiles annually would be used. He said that the Trump Administration has announced that they are exploring the possibility of asking the citizenship question as part of the 2020 census. Lincoln Sen. Adam Morfeld opposed the bill and offered a motion to bracket it until April 18. He said the provision in the state constitution regarding the state’s “alien” population likely violates the Equal Protection clause of the U.S. Constitution, which would take precedence if the attempt to exclude noncitizens from the population count for redistricting were challenged in court. Sen. Mike Hilgers of Lincoln disagreed, saying the courts haven’t directly addressed the issue and that states have wider latitude when it comes to apportionment for state legislative districts in terms of population deviation considerations. “If the reason that you’re thinking about voting against this is because you think our constitutional provision is itself unconstitutional, I don’t think there [are] grounds under Supreme Court authority to make that determination, certainly as it stands today,” Hilgers said. 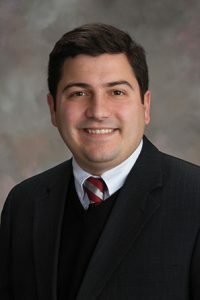 Omaha Sen. Tony Vargas opposed the bill and the amendments, saying the proposal could result in thousands of people in his district not being counted for purposes of representation. The state should seek ways to increase civic engagement rather than finding ways to exclude individuals who are taxpaying community members but may not be citizens, he said. “I believe, inherently, that every single individual in our community deserves a voice in the political process,” Vargas said. Murante said the state constitution’s language is plain and that lawmakers cannot ignore it. The Legislature moved on to another item on the day’s agenda without taking any action on LB1115.